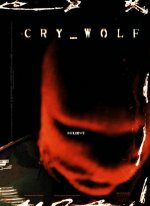 Cry Wolf release date was Friday, September 16, 2005. Nobody believes a liar—even when they're telling the truth. When a young woman is found murdered, a group of local high school students decide to further scare their classmates by spreading online rumors that a serial killer called "The Wolf" is on the loose. By describing "The Wolf's" next victims, the students' game is to see how many people they can convince—and if anyone will uncover the lie. But when the described victims actually do start turning up dead, suddenly no one knows where the lies end and the truth begins. As someone or something begins hunting the students themselves, the game turns terrifyingly real.